The theme for this month’s contest is based on Maker Coins. All entries must be submitted by December 23rd. For more details, visit us over at the Prusa Community facebook group. If you’re not yet a member, sign up today! The contest is limited to members of the Prusa Community facebook group and owners of an Original Prusa printer. You must upload two photos for your contest entry to be considered - one photo of the print in process on an Original Prusa for verification purposes, and another photo of the completed print to showcase in the gallery. Valid entries include any printer that is running on Original Prusa firmware (MK2/MK3/Zaribo/Bear). There will be two top prizes, one for each category. You must specify which category you would like to enter in along with your contest entry. The Post Processed category includes prints that are painted, sanded, printed with more than one filament (including MMU prints), or vapor smoothed. The Print Quality category includes single material prints fresh off the printer and will be judged based on how well tuned your printer is. Follow this link to upload a photo of your print. Please note that all images submitted may be used in future advertising of the event or Prusa may use them in their marketing so you're giving us the right to do so by uploading your work here. 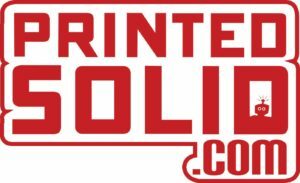 Shout out to Dave & Matt, the owners of Printed Solid, for sponsoring the prize(s) for USA winners this month. They have graciously offered a free roll of any color available of IC3D PLA to the winner(s) located within the USA. 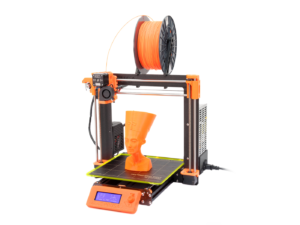 Prizes for the winner(s) located outside of the USA are sponsored by Prusa, who will send out a free roll of their PLA in the color of your choice. 1st Place Post Processed - Best print painted, multimaterialed, or otherwise. 1st Place Print Quality - Best print using a single filament, single extruder, single printer. Can I paint the print? - You are encouraged to do so but if you do your print is now in the Post Processed category. How do I know which category I'm in? - Please note in your submission whether you are entering the Post Processed or Print Quality category. Is my MMU print considered to be Post Processed? - Any multicolor print regardless of using an MMU is considered processed so it'll be part of the Post Processed prize pool. What exactly is the Post Processed category? - We didn't want someones airbrush skill or access to different technologies to dominate the competitions so we are giving a prize to those who are willing to dedicate their time evolving a print as well as to those who love the technical printing aspect but may not want to learn how to paint or accessorize their print. Paint it, sand it down, prime it, hook up motors, or just make it look really really cool. So what is the Print Quality category then? - Here we are judging purely on print quality. You can do very minor physical cleanup like removing support marks, glueing a multi piece print together or clipping off a stray scratchy bit. There is always a tiny bit of cleanup involved in 3d printing and we can't remove that aspect so instead you're allowed a bit of cleanup as long as there isn't any paint, major sanding, sculpting, or other enhancements done. Please message us with questions before submitting if you have trouble with any of the concepts. Can I submit to both categories? - No. You are only allowed ONE full entry per contest so pick your favorite category. Can I hook up lights and or robotics? - If you want to do so we will allow it. Will I be judged on my photo skills? - Believe me that a cool picture tempts the likes in all photo contests but we hope it won't be the only deciding factor. Is this contest for anyone? - If it's a printer using Original Prusa firmware, you are a member of the Prusa Community Facebook Group, and you live on earth, then yes! Can I donate more prizes? - We are considering adding more options in the future but we are starting out small and seeing how much we can handle. Can I use a print I've already done? - In order to qualify you must upload an image of it actually printing and we will be checking metadata so please print it during the timeframe allocated for this contest. Can I enter more than one print? - Sorry, only 1 print per person per month. What will my images be used for? - Mostly making this site look prettier every month, but also to keep promoting the great makers and the printer they use. - To be fair we will let one of the humans who donated prizes be the tie breaking vote.